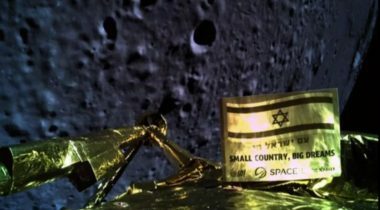 An Israeli lunar lander originally built to win a prize competition crashed onto the surface of the moon April 11 when its main engine malfunctioned during descent. 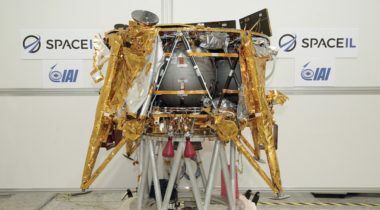 The Israeli company that built a privately funded lunar lander scheduled for launch next month is partnering with a German firm to offer similar landers for future European Space Agency missions. A privately funded Israeli lunar lander originally built for a prize competition is now complete and ready for launch in early 2019. 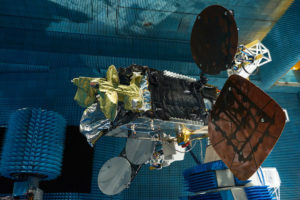 Israel Aerospace Industries was ordered to pay Spacecom $10 million for late delivery of Amos-6, a satellite that ended up being destroyed in SpaceX’s 2016 Falcon 9 fueling mishap. 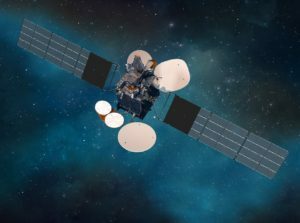 Israeli satellite operator Spacecom said Sept. 25 that it has terminated contracts awarded earlier this spring to manufacturer Space Systems Loral and launch provider SpaceX for Amos-8, a telecommunications satellite the Israeli government said Sept. 3 would be built in Israel instead. 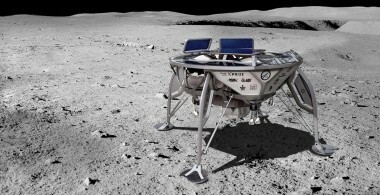 As it completes a lunar lander scheduled for launch late this year, an Israeli company says it’s looking for opportunities to do similar future spacecraft to tap into the growing demand for lunar missions. 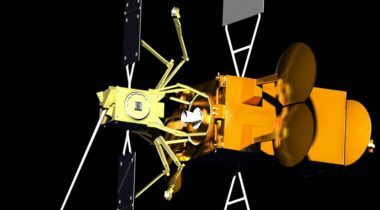 One of the two commercial GEO satellite contracts Space Systems Loral announced this year now appears in doubt following Israel's announcement that Amos-8 will be built domestically. 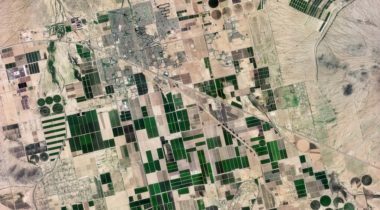 Effective Space, a startup developing a satellite servicing system, announced Sept. 11 an agreement with Israel Aerospace Industries (IAI) to provide technical and financial support. 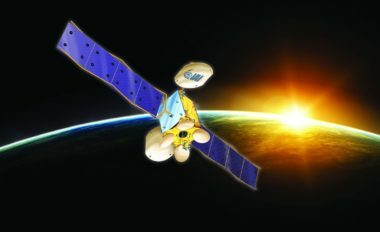 The Israeli government has told Spacecom it intends to operate a satellite at the same location as most of Spacecom’s fleet, the Israeli satellite operator said April 30. 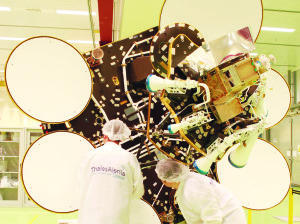 Israeli satellite operator Spacecom’s decision to buy its next satellite from U.S. manufacturer Space Systems Loral is jeopardizing Israel’s domestic comsat manufacturing capability. After the successful launch of two small imaging satellites last month, Israel Aerospace Industries (IAI) is optimistic that it will find additional customers for satellites that it argues can match the performance of much larger spacecraft. 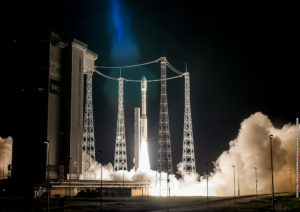 Arianespace’s smallest rocket launched two remote sensing satellites co-produced by Israeli and European teams on an Aug. 1 night mission from the European spaceport in Kourou, French Guiana.